Roland have released BTS for GT-1000, as a new controller for the epic Boss GT-1000 multi-effect pedal. The app connects to the pedal via Bluetooth, and allows you to easily edit and change your tones. ●Connect the BOSS GT-1000 and your iPhone/iPad via Bluetooth to use this app. * BOSS GT-1000 is necessary to use this app. * Set up the Bluetooth connection in the Connection window displayed after the app is launched. ●BOSS TONE STUDIO incorporates convenient functions; ‘Download Function of Additional Tones (Livesets)’, ‘Tone Edit Function’, and ‘Tone Librarian Function’. ●This app provides an integrated access to the BOSS TONE CENTRAL website offering additional free contents for BOSS products. *An active internet connection is required to download the additional tones (Livesets). This GT-1000 is an absolutely glorious machine. Glenn DeLaune did a review of the new multi-effect pedal. Don't these people ever think about editing their videos? You know, the bits where they don't know what they're talking about and have to look, and think, and we wait breathlessly to see what they'll say.... or not? @The other Brian: I absolutely get where you're coming from. However, as someone who has spent a lot of time on the other side of the equation, I can sympathize strongly with Glenn. Shooting a video like this took him at least two hours. You can tell he spent some time getting the lighting right in the room for the shots of him. And the closeup angle doesn't have any weird reflections on the screen. He's also got some interesting dynamic range in the shot with him jamming. Now editing together these 3 shots probably took another hour at least. So he's already sunk about 3 hours into this. Can you really expect any more of his time? I always love his videos and think this is actualy another very good video review and sound demo. He is a great player and patch creator. Very impressive signal chain indeed. The clean patches sound nice. Not so much impressed by the distorted factory presets yet, but i'm sure with some tweaking things can get much better. 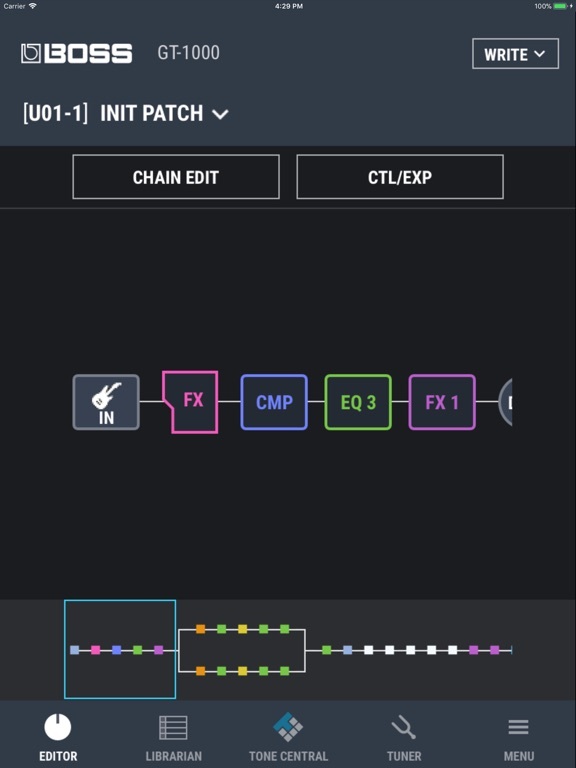 Especially Glenn makes some of the best patches usually for the devices he demos. Looking forward to his follow up videos with his own patches and what sounds Glenn can produce with this new pedal board.